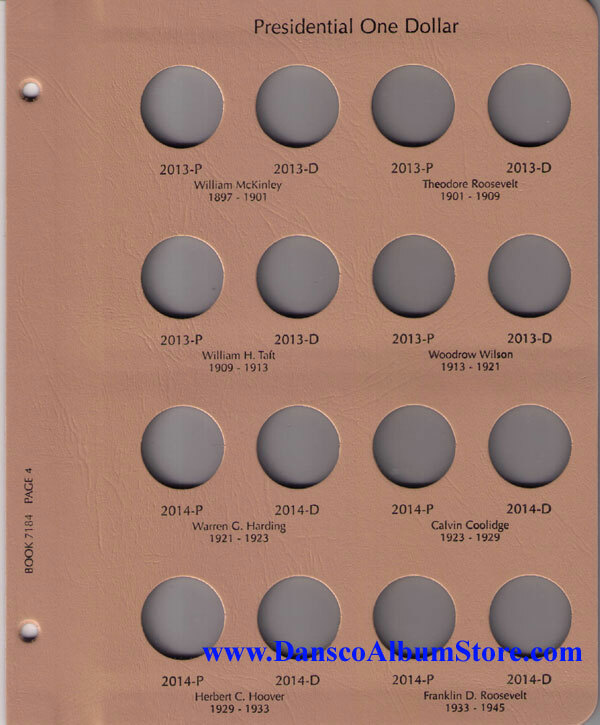 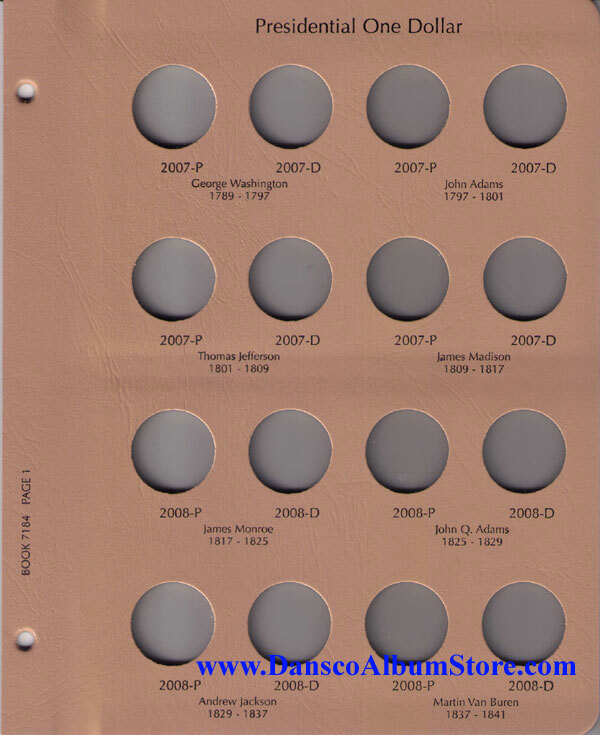 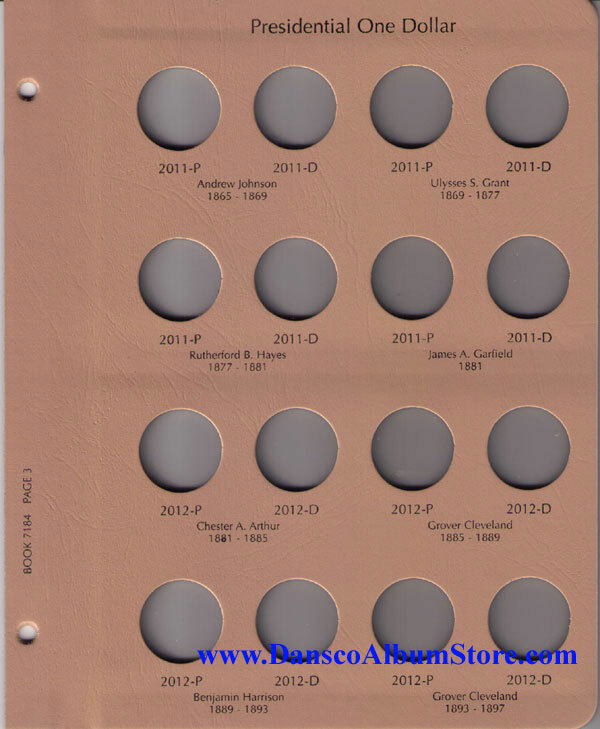 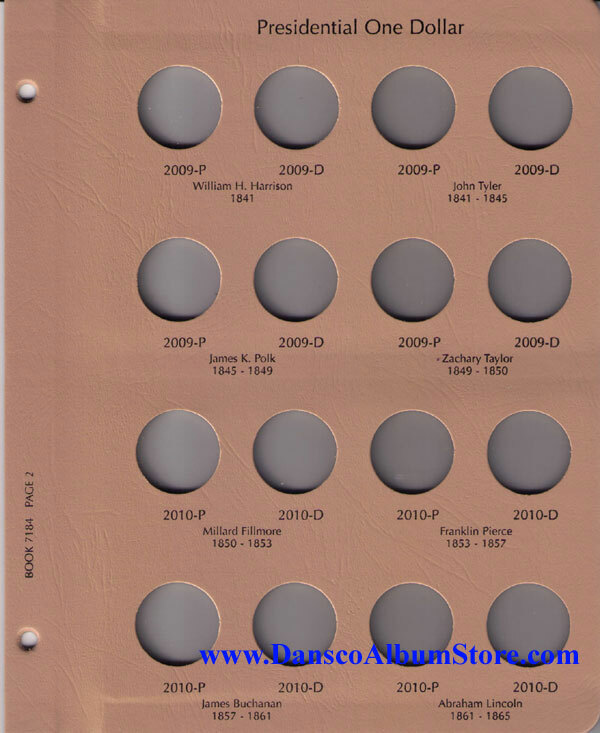 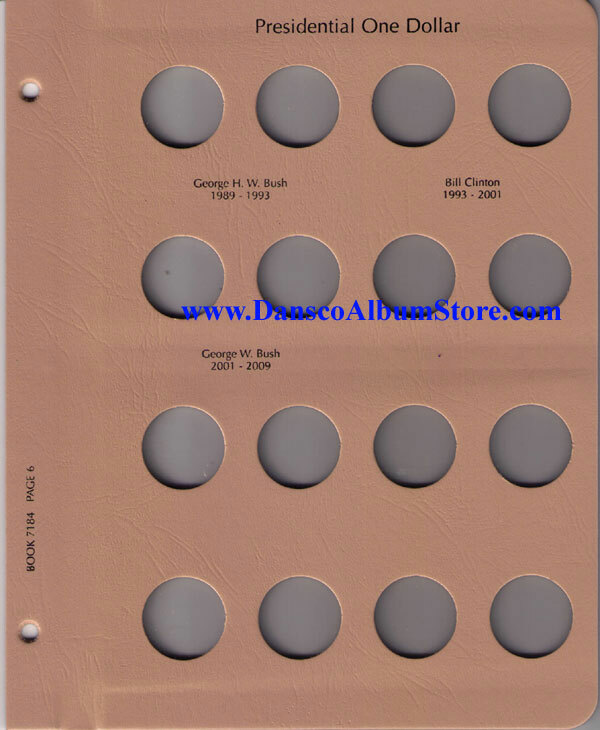 This Dansco album #7184 holds room for all the P and D Minted Presidential Dollars minted from 2007-2016. 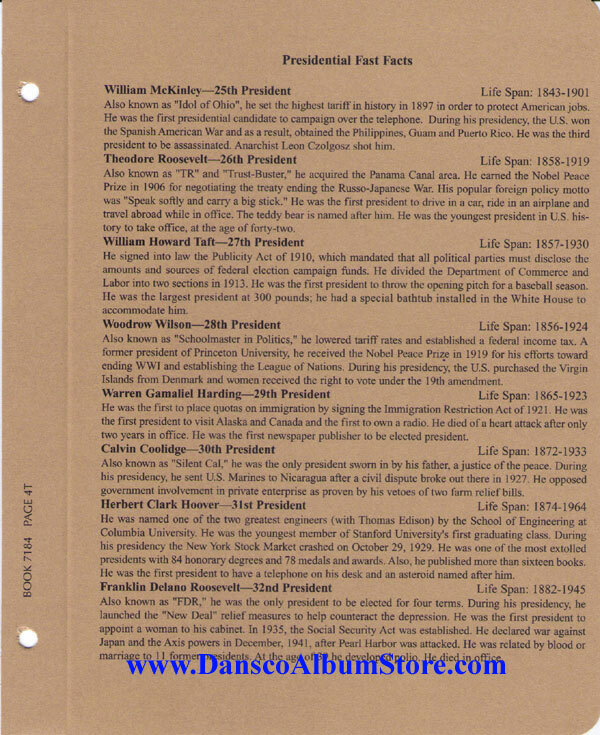 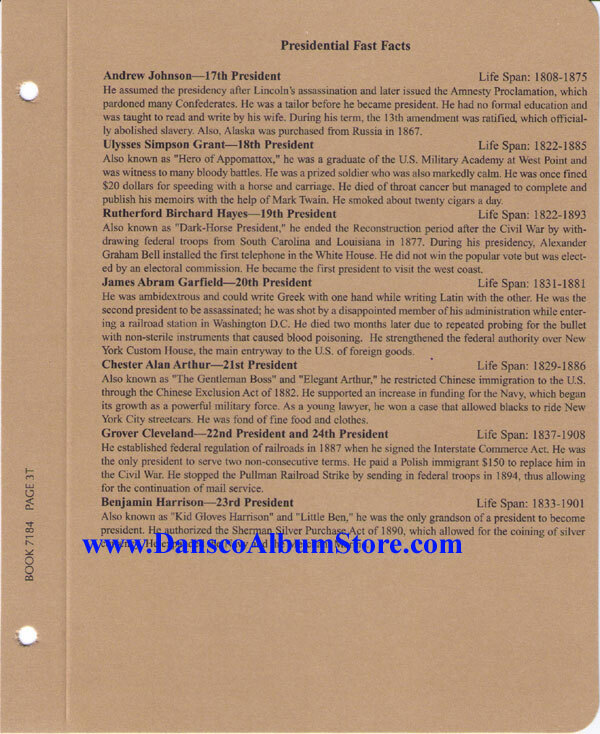 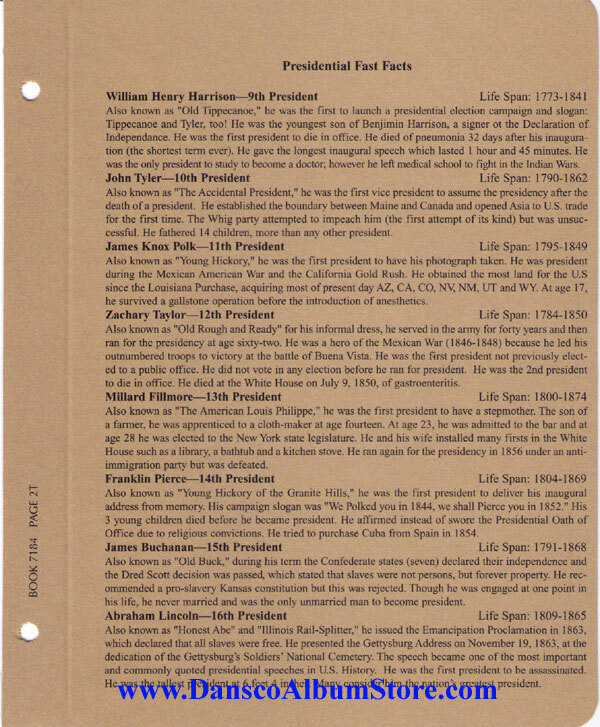 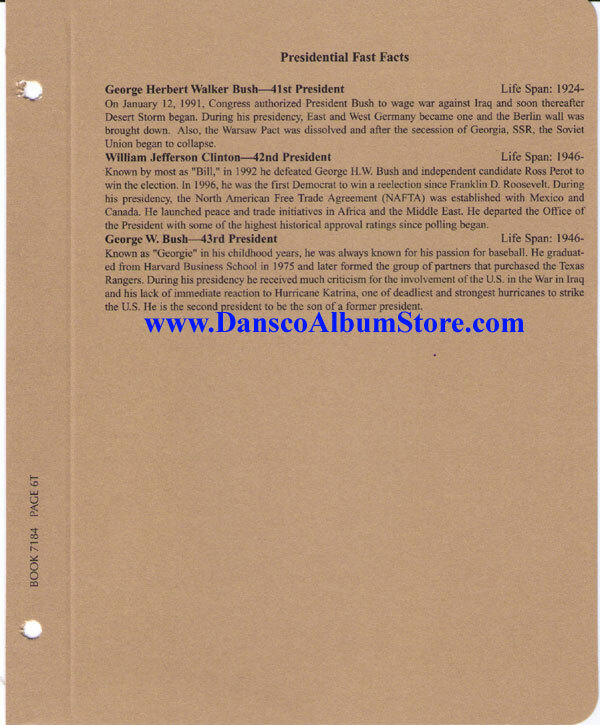 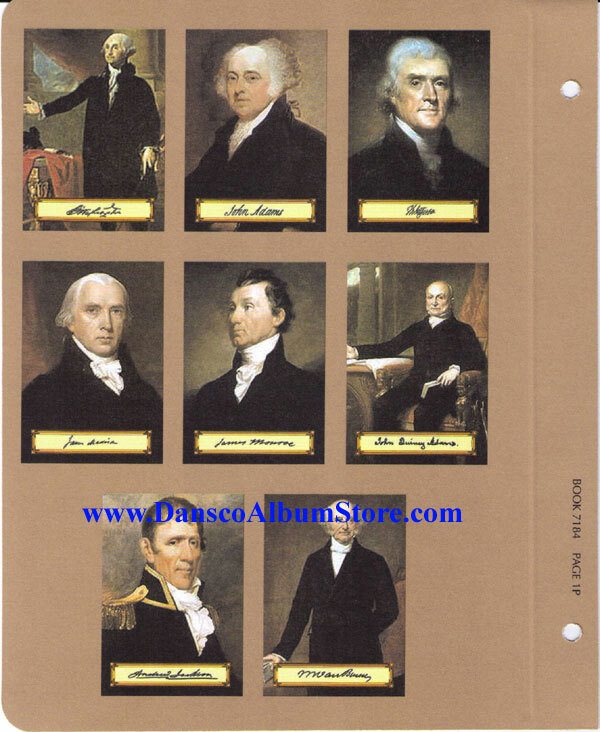 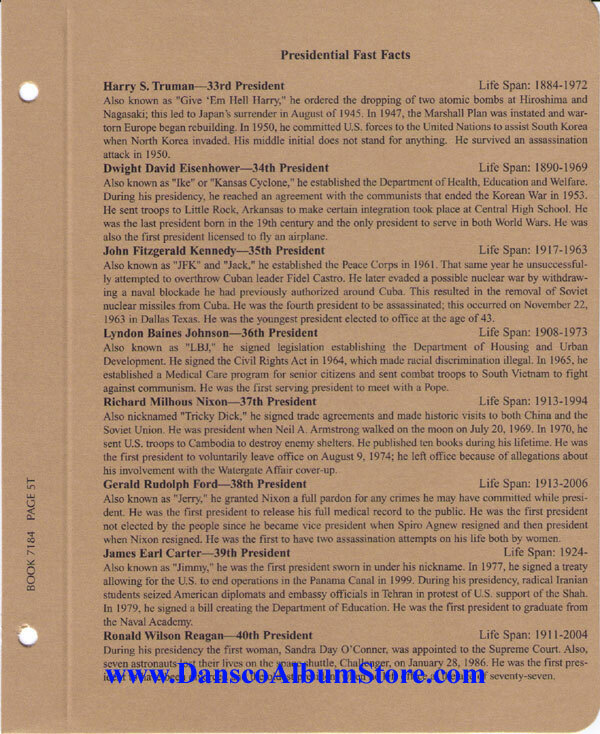 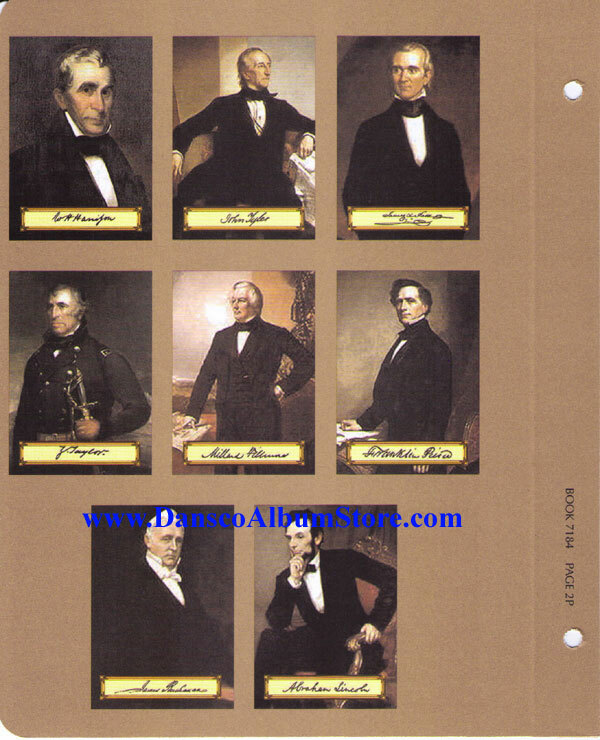 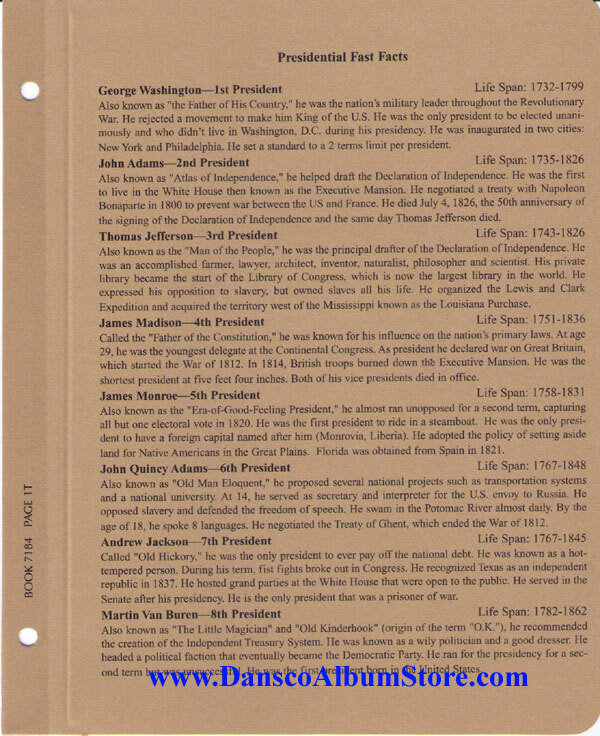 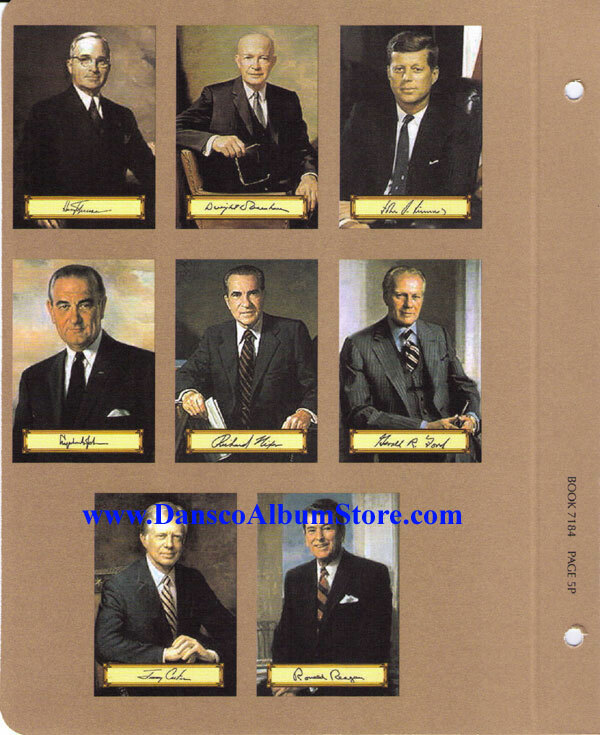 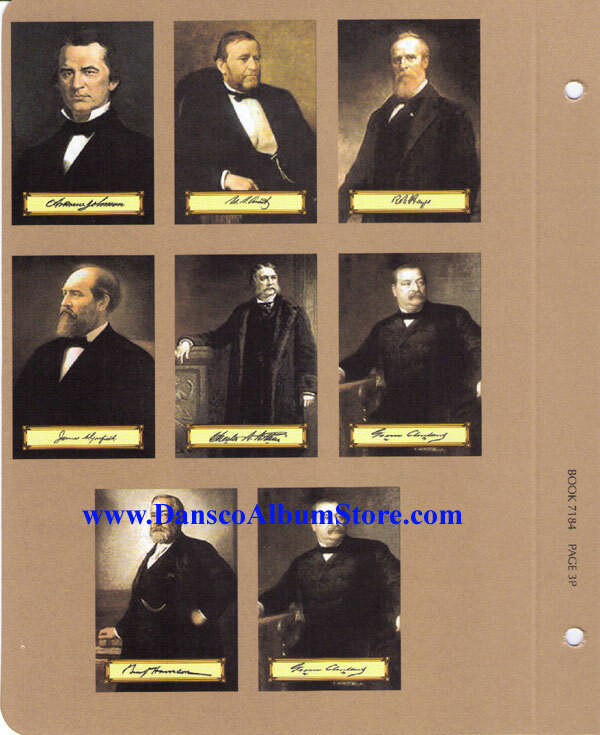 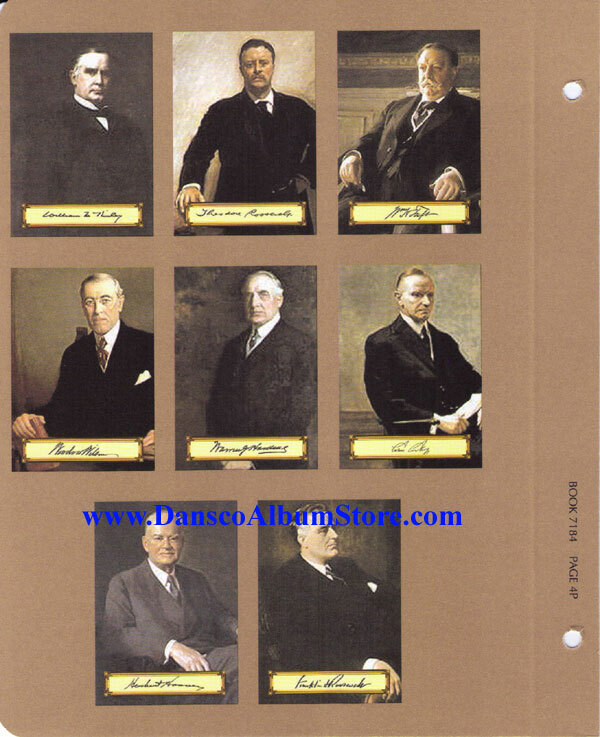 This album does include the informational sheets which contains a paragraph of detail for each of the presidents on the corresponding album page. 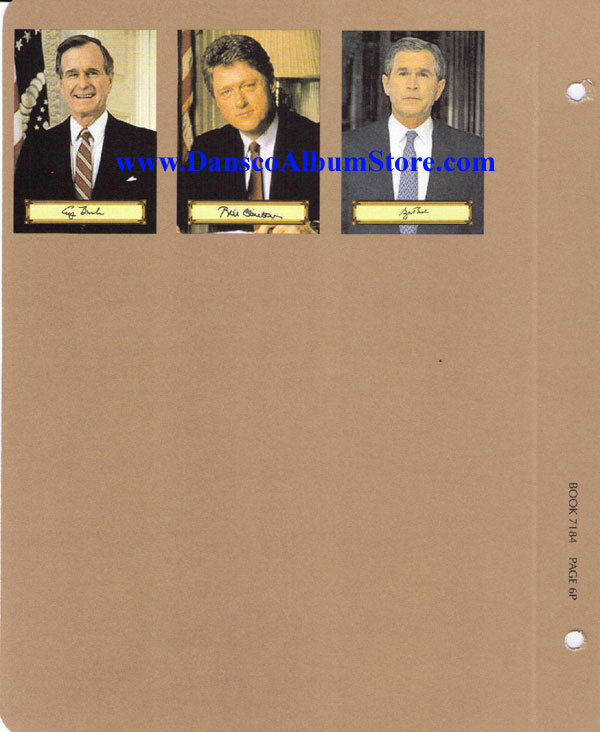 If you want to store Proofs as well see albums 8184 and 8185.